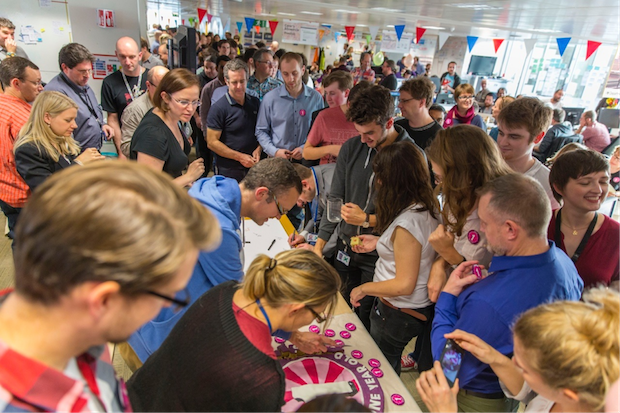 GDS is constantly on the lookout for great technologists to come and work with us. We have roles open at the moment for technical architects, developers, and web operations engineers but we have other more specific roles in the pipeline that we want to get the word out about. The Open Standards Team sits within the Tech Group in GDS. We’re refreshing our approach to setting technical standards and building a community of practice around the use of them across government. We’re also raising the profile of our Open Standards Principles. All this will help us all build things more efficiently in ways that encourage more interoperability, reduce vendor lock-in and embrace the use of open source software components and libraries. We need someone who’s a strong developer, analyst and community builder to build a community. They’ll analyse problems and candidate standards, and build prototypes to put potential standards through their paces. It’s a role that will let you work right across government and explore a wide range of emerging areas. This role closes today so if you’re interested you’ll need to apply now. Our work over the past five years, and that of colleagues across government, has significantly moved the dial on open source in government. We now want to build on that work with a more concerted approach to open source (and “inner source”). We want to build collaboration and reuse internally and help make higher impact contributions to the wider open source community. We’re looking for someone with a strong technical background who can develop a clearer strategy for open source across government. They will help make sure we have the right policy support in place to take work forward, build alliances with the right outside groups, and co-ordinate some projects across government. Apply by the 1 August if you’re interested. GDS strongly believes the quality of our work is everyone’s responsibility. Everyone in a product team needs to make sure we think about quality and test for the right things. As the organisation grows, we have a wider variety of services to support, and service teams need to be supported by the best possible techniques and tools. We also want to do more to join up quality practitioners and practice around government, working with other teams to make sure we’re all doing it well. As Head of Quality you will be responsible for ensuring multidisciplinary product teams continue to put quality control at the heart of all their work and that automation is prioritised. The role will involve ensuring new team members at GDS receive a solid introduction to quality assurance and the training to build the right processes and tools into development practices. This role will go live later this month so keep an eye on the GDS section of Civil Service Jobs. GDS is looking to push the boundaries of what application security looks like in a modern agile organisation. We’re working on increasing numbers of large government projects and need security approaches that can scale. We’re hiring security engineers who have a strong background in application development. You’ll work alongside the development teams, helping them design and build more secure products. You’ll be focused on not just fixing the direct problem, but ensuring security standards are maintained across the board. This role will also go live later this month on the GDS section of Civil Service Jobs.